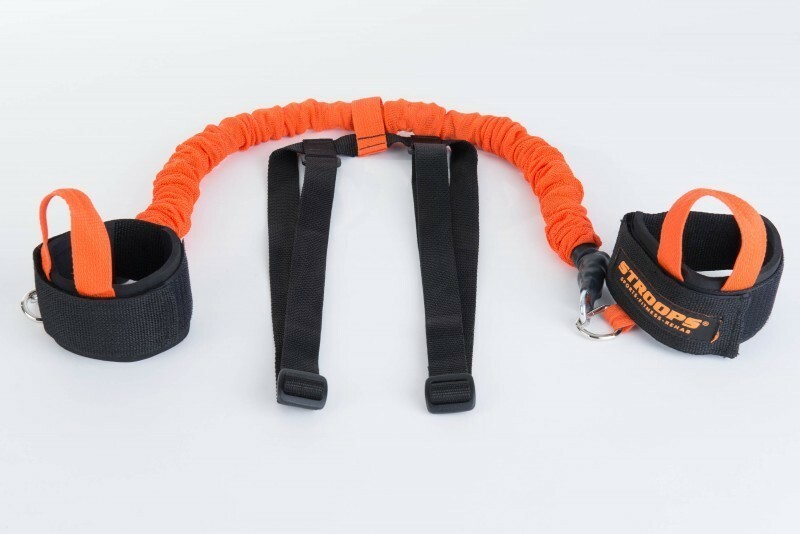 With hassle free wrist straps there is no need for a handle. All you have to do is strap in and go. This tool will take your training to a whole new level. Tired of doing regular old pushups? It's time to switch it up! Try some pushups with the resistance of the Cobra and you won't believe what you feel. Now add some medicine ball throws and you are on your way to a great workout! It is time to step up your game! The Cobra Pro will do that for you. The Cobra Pro’s unique “wear-while-you-play” design promises to transform the way athletes train. With the Cobra Pro you can now do sport specific drills at the speed of your sport, while still getting the extra resistance you need to take your game to the next level. Basketball players can improve defense by pressing against the resistance to get their hands in the passing lanes or performing chest passes to get a little extra snap on the ball. Receivers can catch passes with it on or an offensive lineman can practice blocking. A fighter looking for more powerful punches can use the Cobra to get explosion they are looking for. If you are an athlete that uses the upper body, then you need to be using the Cobra Pro!